Last year an experience was shared by Lorriane Walshe-Ryan and her friend Roshni ji on Devotee Experiences with Shirdi Sai Baba Blog. It described how Lord Sai Baba gave Lorraine ji His permission to continue with her third book. The second book's work is in progress. It contains experiences of devotees and it is being edited now. I guess readers must be knowing that she has written "I Am Always With You" book earlier. 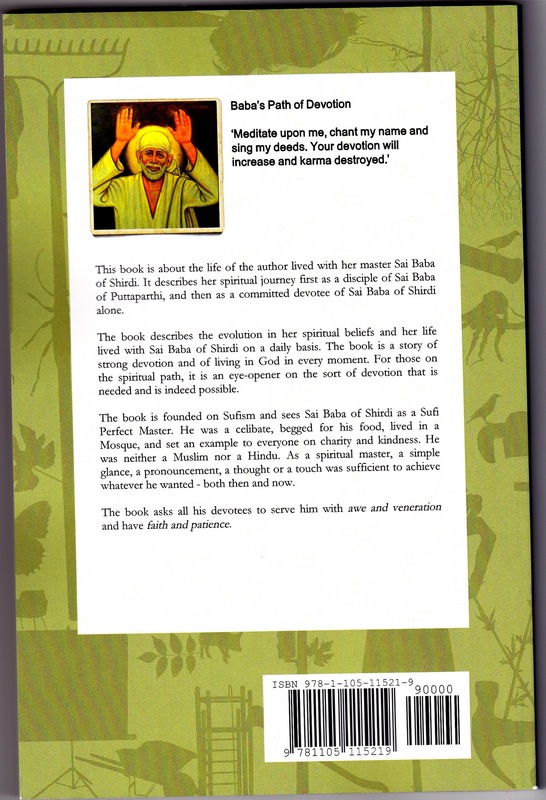 It is worth reading book for those who wish to know what relation prevails between Lord Sai Baba and His devotees. Every one of us share a unique and divine relation with Him. No matter of what age is our devotion, the relation matters. My belief is (gradually it is becoming stronger day by day) that since we were holding hands of Lord Sai Baba in our previous uncountable births, we are holding Them today and will be holding Them in future births too. Thus our relation is shared from past many births and will continue to be. 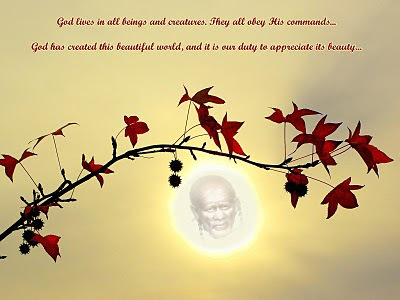 Lord Sai Baba's love is such that one can go on writing even he do not know any words of knowledge, sing His glory even if he has not learned singing and even a dumb can go on speaking. This is power of Lord Sai and His love for His devotees. This is the reason, i guess, we find so many authors who write for and in His love. The number is continuously increasing. One such book has also seen light of the day. It is named as "My Truth" by Lorraine ji. Kindly have a look at book cover images below. Few days back i received mail from Lorriane ji herself explaining how she was inspired to write this book. Thank you for your kind words Hetal, yes I had better explain this mysterious third book of Baba – it is a treat. The second book about Devotees experiences to which you, Rana Gill and countless others contributed, is still being edited in India. When I returned from India in May this year, I started writing my biography but during the month of September, Baba and I were going for our usual morning walk when I stopped halfway down the street because I clearly heard Baba say in my ear, “Don’t continue with the book – write another book”. I asked Baba “Did I hear You right Baba, do you want me to write another book about You, about Sufism and all else”. I looked at all the cars going by and so many cars had BA-9 (Baba and I communicate by these letters and no.) I literally ran home, got on the computer and just knew what I had to write about, but again said to Baba – You dictate and I will type. Baba silently dictated every word in My Truth, it all fell into place within a week, this book was completed. Then one day I said Baba – what are we going to do now, the book needs to be edited and published. I barely uttered these words to Baba when He sent me a person (through the net) who is a Sufi and that is all I can say as this person prefers to remain anonymous. 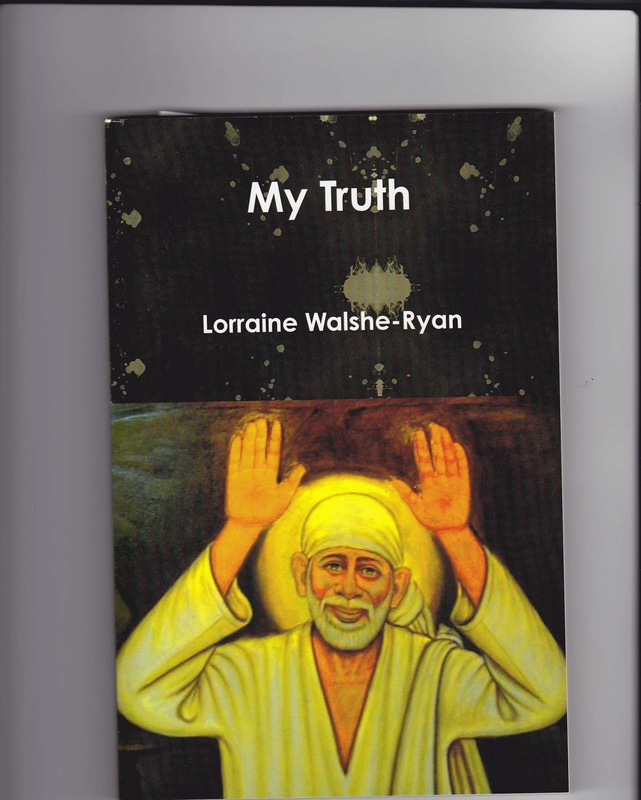 This person edited My Truth for free and was of great help in teaching me about Sufism of which I so long to learn about, associating it from the very beginning of my spiritual journey with the Sufi side of Baba. My Truth was then published on the net. It is a self-published book, it can be bought online as a hard copy or as a PDF read only from www.lulu.com provided they should have availability of same. I thank you for your ever loving and giving service to our Baba, may He always be with you and your family too and may He ever bless all of you. Early October 2011, I was diagnosed with very very early stage of breast cancer and my only hope was Shiridi SaiBaba. I did Sat Charitra parayan and breast mastectomy was scheduled for Thursday at 12.00 noon.I invited Baba to come and save me. When I recovered from operation, the Doctor said the pathology report came negative. I strongly believe that Shiridi Sai Baba came in the form of Doctor and did the miracle.My belief in Baba became 100 folds.